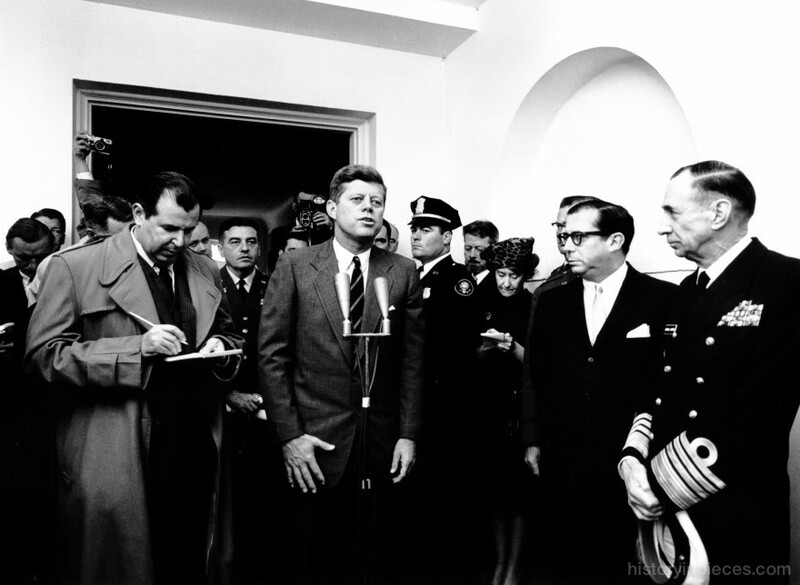 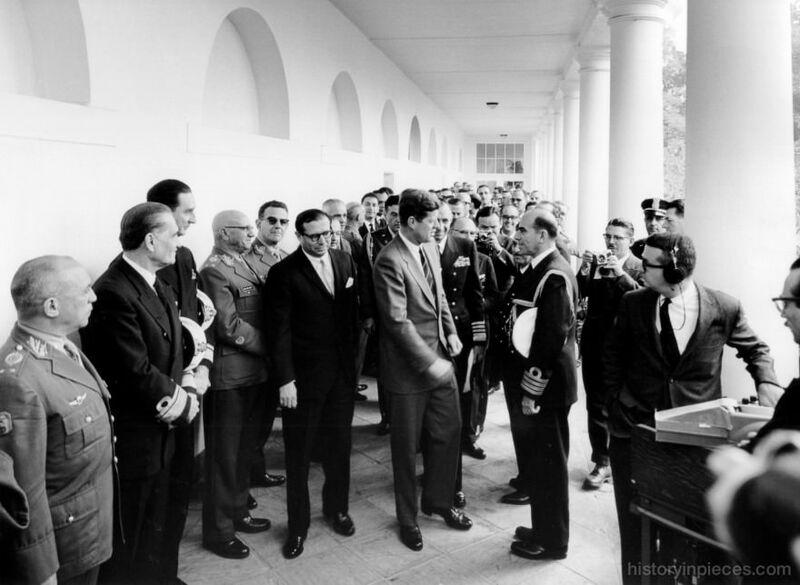 President Kennedy met with approximately 80 students and faculty members of the Brazilian War College at the White House on October 30, 1962. 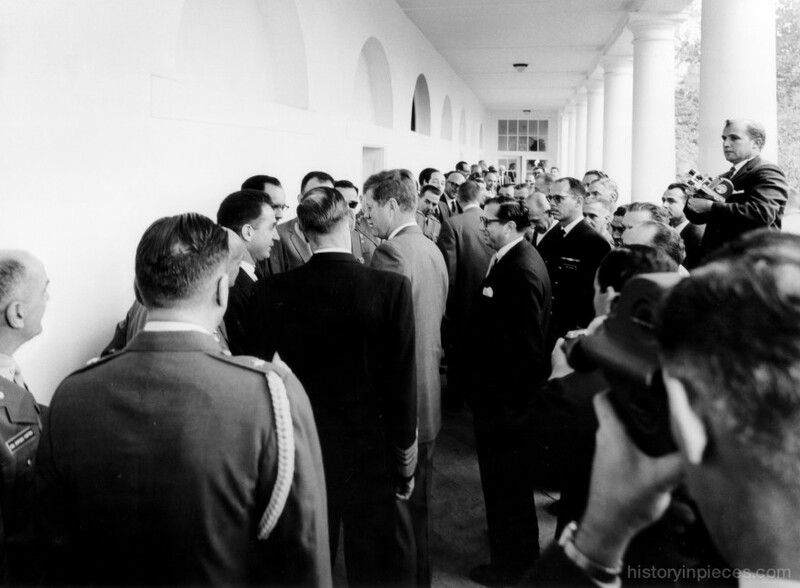 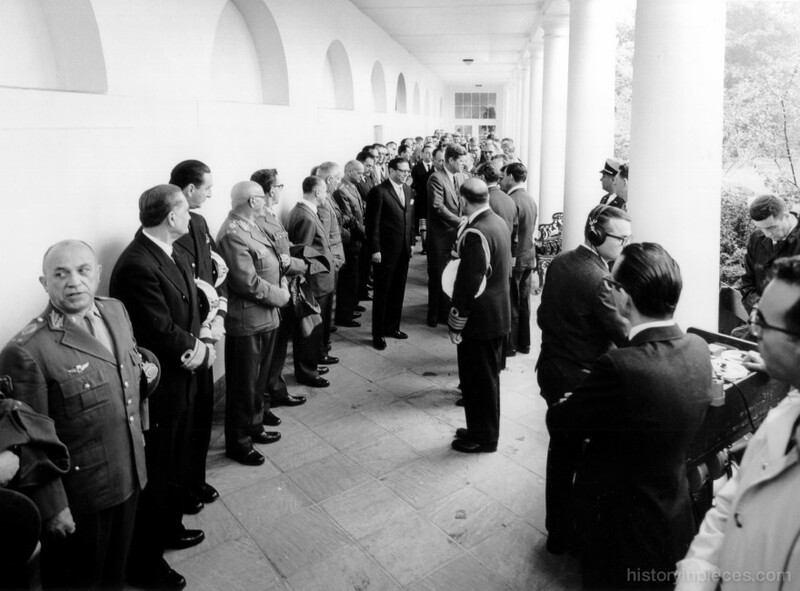 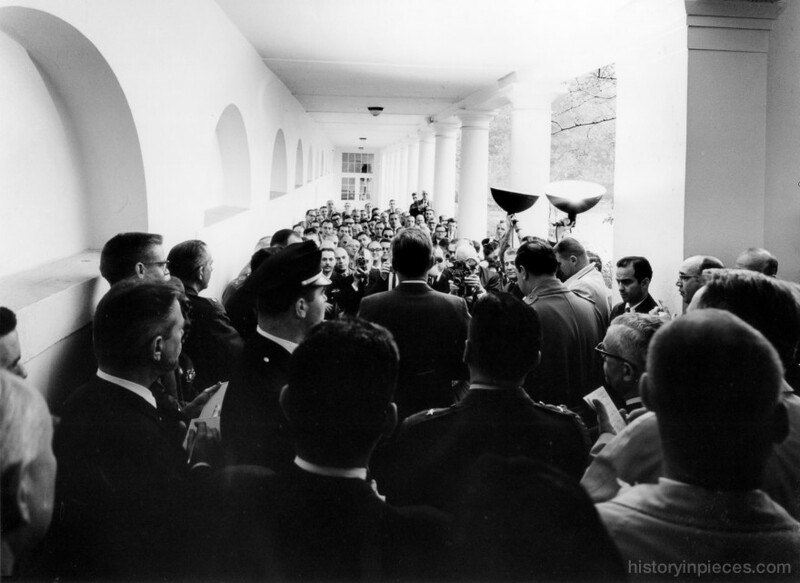 President Kennedy meets with a group of approximately 80 students and faculty members of the Brazilian Escola Superior de Guerra (Brazilian War College) in the West Wing Colonnade next to the Rose Garden. 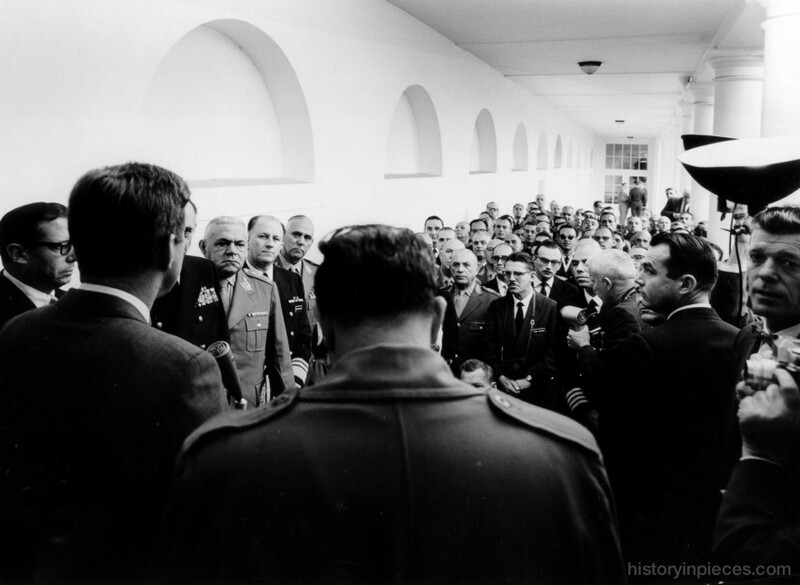 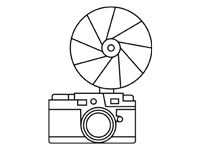 30 October 1962, 11:48 AM – 12:05 PM.